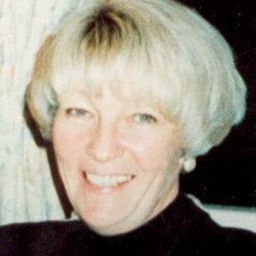 Prior to the recent appeal the Manchester Police Force Complaints Department had found Chief Superintendent William Kerr guilty of misconduct, (ref 6.1) in that he had interviewed Susan as a 'witness' when she had plainly become his 'prime suspect' and should have been afforded the protection of PACE. She should have been cautioned, had her solicitor present and the interview should have been taped. Information gained from such an illegal interview was used against her at her trial. The infringement of Susan's civil liberties went unnoticed by her defence. Susan's testimony from the illegally taken statement was that she could not remember whether she had touched the body of her aunt or not, but she thought that she had not. This has always been taken by the prosecution to mean that she had said that she had not touched the body. Regardless of this abuse of her words she has not changed her statement. Had Susan 'remembered' at any time that she had touched the body and changed her mind, the whole of the prosecution case would have fallen apart. If she had changed her mind would this change of mind not be viewed with great suspicion? What then of the following? Mark Naylor, a scene of crime photographer, two years prior to this last appeal when interviewed by the CCRC said, regarding a stain known as MSN 14, "Had I seen the mark MSN 14 on 12 March 1992 I would have photographed it …" (ref 6.4). (The absence of the photograph was very embarrassing for the prosecution) At the recent appeal Mr Naylor changed his mind about his statement saying that he had seen the mark (ref 6.5). Joanne Ashworth, forensic assistant to the discredited Michael Davie, was also interviewed by the CCRC. She was asked regarding "an area of blood staining …", "Have you any recollection of this?" She answered, "No." (ref 6.6) Subsequently on being interviewed for the purposes of the appeal Miss Ashworth changed her mind and stated, "I have a vivid memory of attending the scene…" and "I also remember seeing the three areas of blood staining…" (ref 6.7&8). In the bundle provided to the defence by the prosecution Miss Ashworth provided a second statement correcting the things she had remembered wrongly in the first statement (ref. 6.9). Mr Clayton, another forensic officer, who had been involved at the first appeal stage, gave testimony at this second appeal. Previously he had examined and approvedblood test results that showed a stain known as JH 2 to be negative (ref 6.10). No new science was adduced but for this appeal he too changed his mind and declared the stain to be positive (ref 6.11). This man's statement was received by the defence about one week before going to court. Chief Superintendent William Kerr, the Supervising Officer, who at the time of the murder was an officer with twenty-five years experience, made no contemporaneous notes of his thoughts or actions on that first day of the investigation. In his statement and at trial he said that he touched the old lady's face and the blood on the pillow. The reason he gave for this was "to see if Susan's aunt was really dead" (ref 6.12). For the recent appeal CS Kerr changed his mind and explained that he touched the face and the blood on the pillow really to ascertain how long the body had been dead (see the appeal transcript that I do not have). (In my opinion neither of the above explanations have any credence. However, for his case to hold it had needed someone to say that the blood on the face and pillow was dry that morning). What are we to make of all this changing of minds? This changing of minds does not relate to some minor issue in the case but to what the trial judge refers to as the 'main plank'. If these witnesses are capable of being mistaken regarding the major issue of the case surely nothing that they say can be trusted! All of the main prosecution witnesses are either discredited or double-minded. If Susan should try to change her mind it would be viewed with great suspicion. How is it that when these professional investigators, who are supposed to take great care over every detail of their statements, do it they are acclaimed? Which statement are we supposed to believe? If we believe their first statements then the Appeal is undermined. If we believe the second statement then the trial verdict or previous appeal judgements are undermined and these people were committing perjury. What legal action can be taken?